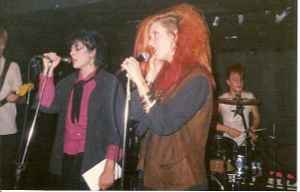 Hagar the Womb are an English punk rock band, active between 1981-1987. They re-formed in 2011 and the band is ongoing. Part of the Anarcho-Punk movement. Members went on to form We are Going to Eat You and Melt. The band play regular gigs and punk festivals and are on All The Madmen record label.